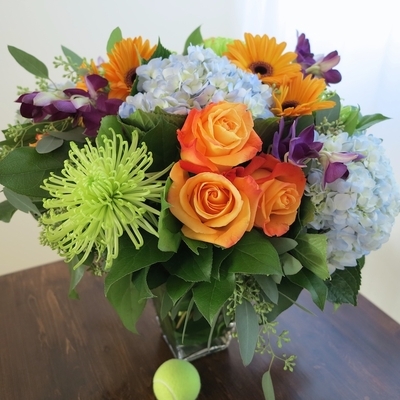 Stunning bouquet of orange roses & gerberas, green chrysanthemums, purple orchids & blue hydrangeas presented in a vase. Modern, graceful flowers just a click, tap or call away. Recommended as New Baby and Congratulation arrangement or wonderful Passover present. Flower delivery in Toronto and GTA. 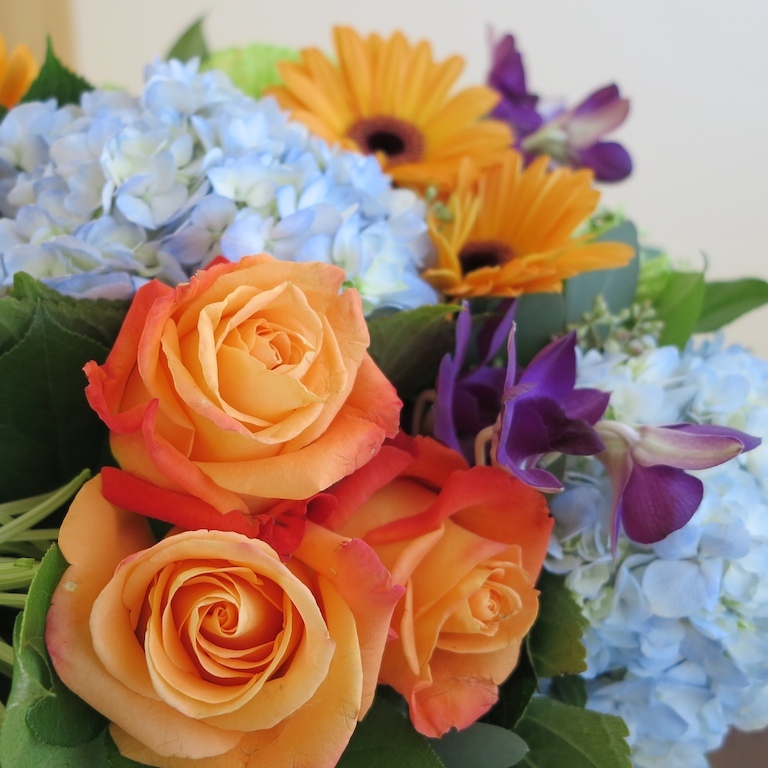 Enjoy mobile & online flower shopping at Toronto trendy florist. If you need assistance please call us.